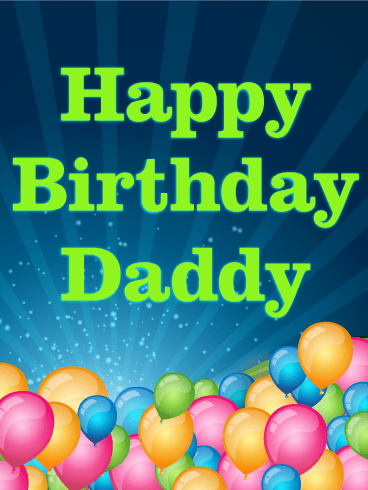 Birthdays are a special occasion, especially when it's your father's birthday! 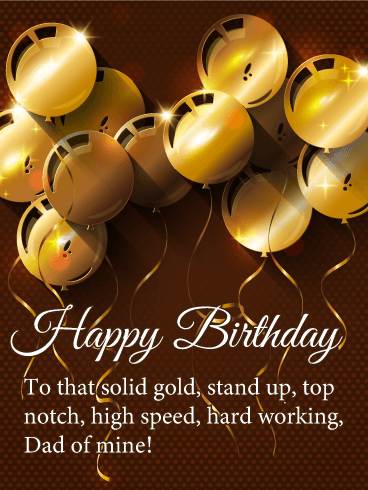 Let him know how important you feel the occasion is by sending him this fantastic birthday card! 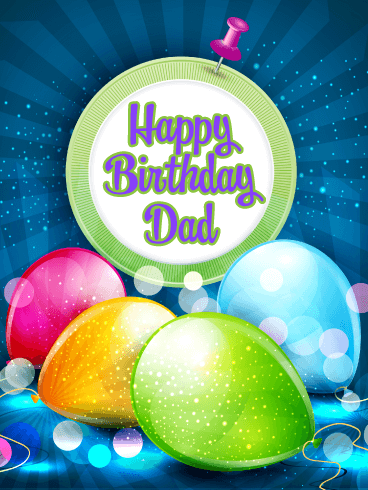 It showcases festive balloons with confetti and a caring message. He is going to love it! 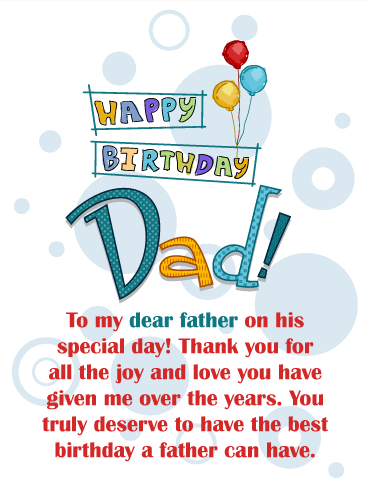 More importantly, he will adore the fact that it's from his child. 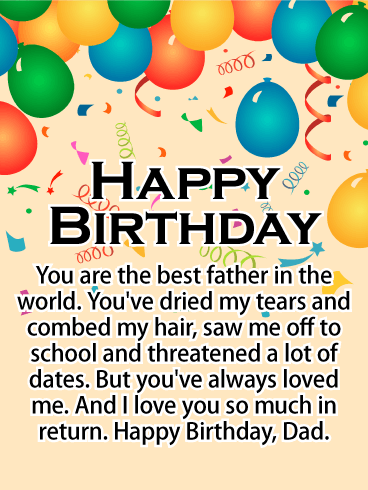 So tell your father that you love him with all your heart by sending this touching birthday card, he will truly appreciate it! 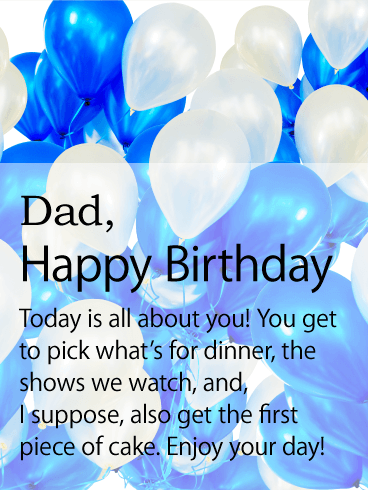 It's your father's birthday and time to send him his annual greeting card! 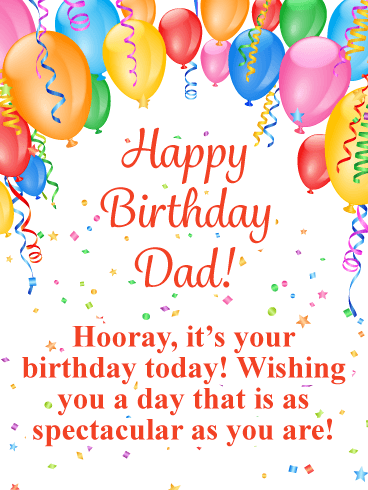 This year, send him a birthday card that will add some joy to his special day! 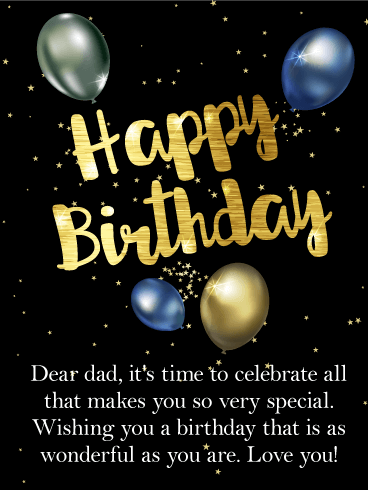 Shimmering gold letters and shiny balloons set the stage for this birthday card that was created just for your father. 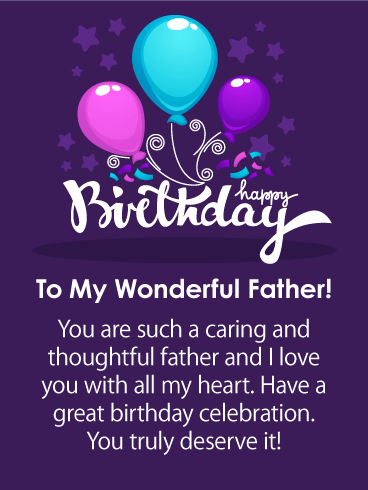 The message tells your father that you think he is wonderful, which will bring him joy. 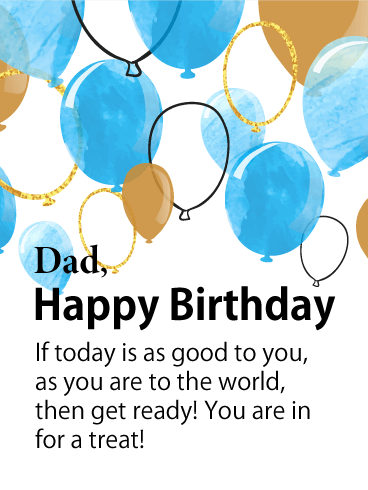 Send some happiness your father's way to wish him a happy birthday today! Fun fathers are the best! 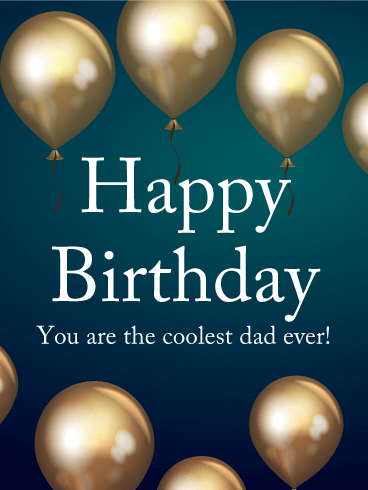 If you have one of these dads, then you are in luck because we have a birthday card designed specifically for your father's big day! 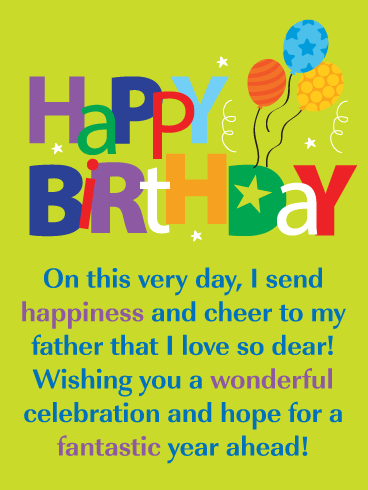 This cheerful birthday card will brighten your father's special day! 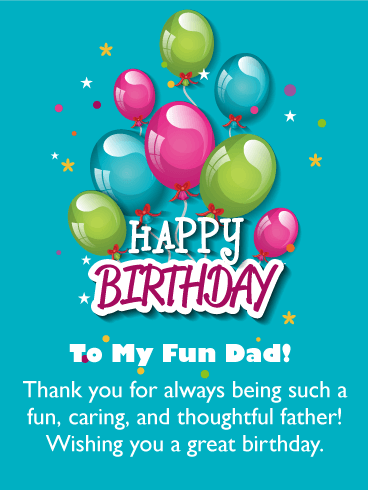 It features colorful balloons, creative happy birthday letters, and a caring message that will make your father very happy. 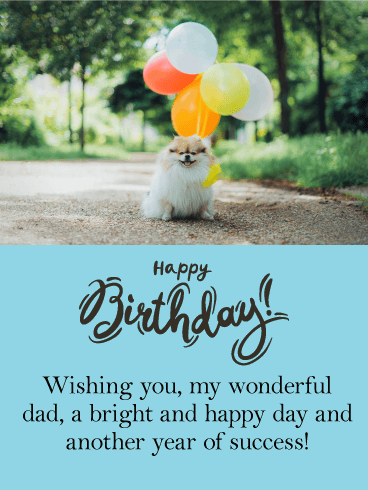 Wish your father a happy birthday with this special birthday card today! Is your dad out of this world? 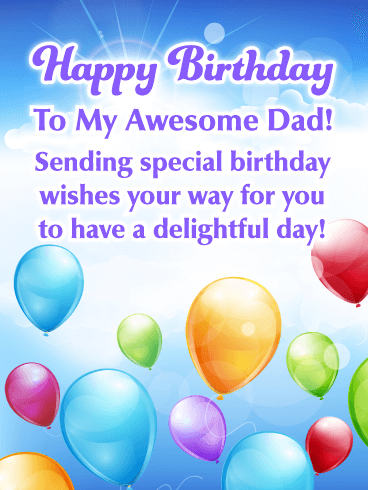 Celebrate his special day with a Happy Birthday card that is as amazing as he is! This card's blue background looks like the night sky and the bright spots of light look like glowing stars. 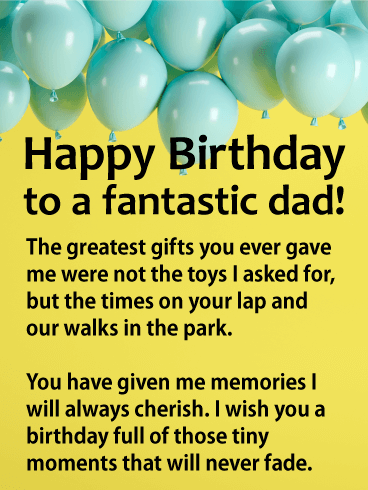 The brightly colored balloons add a touch of celebration to this beautiful scene - the perfect way to celebrate your dad!